Bedlington terrier — a dog with very unusual appearance. At first sight it is similar to a mild lamb but if you get acquainted with a Bedlington terrier closer, you will understand that heart at this "lamb" the really lion's. 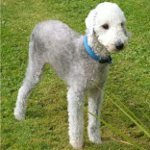 As well as many other breeds of terriers, the Bedlington terrier was brought in Great Britain (if is more exact — on border of Scotland and England), but exact data on an origin of this breed are absent. The first mentions of breed appeared about two centuries ago, then it carried Rothbury's name a terrier. Initially the Bedlington terrier was brought by miners for fight against small rodents, hunting for rabbits and hares. But in the 19th century as a result of growth of popularity of dog exhibitions of a bedlingtonama became interested not only hunters. 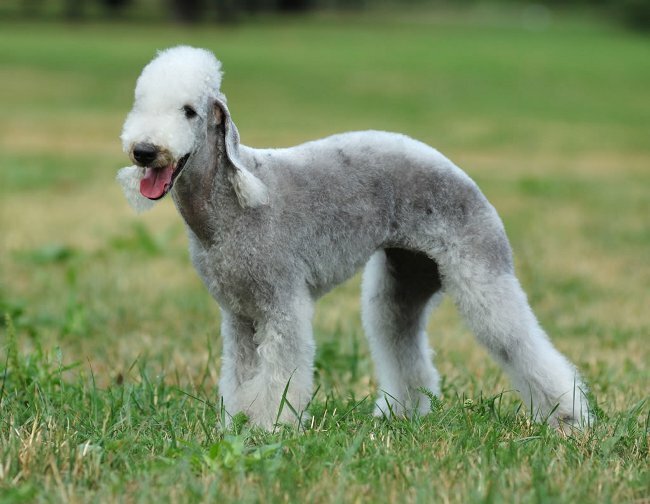 "Exhibition" cultivation of Bedlington terriers as a result of which the shape of breed became more distinguished, and character — began more appeasable. However such situation did not suit judges of working qualities of this breed, and in the seventies the last century they founded Club of working Bedlington terriers. A task of club is preservation of working qualities of breed. Bedlington terrier — one of the most rare and expensive breeds of dog, the most popular in aristocratic circles of the developed countries. Demand for breed quite steady, despite popularity of bedlington, on them never was boom. As we already spoke, the Bedlington terrier possesses very unusual appearance giving to dogs of this breed similarity to lambs. At bedlington the pear-shaped head with the extended jaws, the direct forward feet, the tail pointed at the end lowered and low put ears. Eyes at this breed of dog have the small size and brown or light brown color. The Bedlington terrier concerns to large and average terriers, height in withers makes 37-45 cm, weight — 7-11 kg. Similarity to lambs strengthens dense, soft and the fluffy curling wool. Typical colors — blue, sand, reddish-blue, henna-red (puppies usually are born chocolate-brown or black, gradually wool gets an adult color). At any color more dark shade is preferable. Care of wool consists in daily comb-out and a periodic hairstyle (3-4 times a year), trimming of wool is not accepted. Thanks to the amusing appearance of a bedlingtona can make impression of good-natured and peaceful dogs, however actually the first impression often is deceptive. If to draw parallels with human types of temperament, a bedlingtona — the real choleric persons who do not like to concede to someone. These are courageous, vigorous, hardy dogs with independent character. Bedlingtona can be mistrustful and irritable, however they should not be rough or closed, also the shyness and fearfulness are not peculiar to them. But you should not think that bedlingtona — spiteful dogs. In the course of work on breed many negative properties of character were maleficiated, and now the Bedlington terrier — is a balanced, clever and devoted dog, though not deprived of some shortcomings which are shown mainly in wild spirits. At the correct education the Bedlington terrier will be the obedient pet with gentle and quiet disposition at rest. 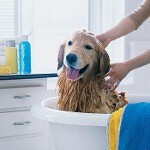 Training this breed of dog, it is necessary to show persistence and endurance, avoiding thus roughness. 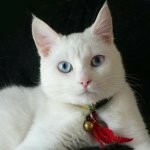 In spite of the fact that bedlingtona still remain beautiful rat catchers, now them keep in the basic as dogs partners. These dogs with pleasure play with children. Also this breed perfectly copes with a role of a sentry dog, loud bark warning the owner about danger. 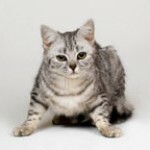 Bedlintona are quite capable to live in the city apartment but to keep to your pet health and good mood, it is important to provide it regular walks and vigorous games. If you treat a bedlington with care, it will answer you with sincere love.